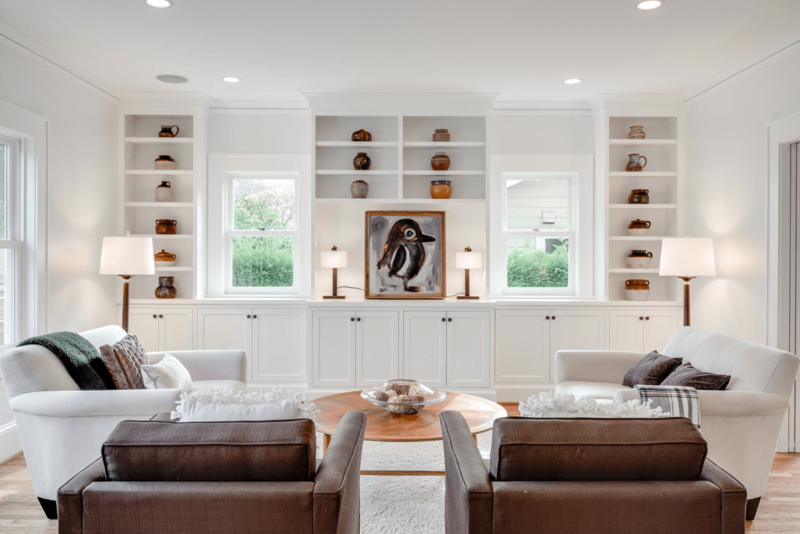 So… you’ve been seeing all those great staging projects, magazine covers, and television living rooms that look so pretty because they are all white. White sofas and white walls and white floors and white pillows and white tables … all white. And now you are thinking about going all white in your real life as well. Do yourself a favor and listen to Admiral Akbar: “IT’S A TRAP.” Don’t do it. Seriously, run the other way as fast as you can. But then again I would give you the same advice if you were planning an all red room or an all black room. By having each and every thing in one room be all one color, you are proverbially painting yourself into a corner (pun intended). You would, for all intents and purposes, force your future self to stay with that one color forever, with your only way out involving a large investment in time, money, and energy. With all these warnings, I see you are not convinced … that nothing I can say will steer you away from that all white living room or bedroom or office you have been dreaming of since early 2015 (since that was when they became hugely trendy, and oh, by the way, that trend will end in less than two years … but I digress). So I might as well tell you how to do it correctly. When upholstering soft goods, consider slipcovers. The convenience of slipcovers is that they can be easily washed or (if need be) replaced. If you are way over the slipcover like I am, then you are going to need some super fabric. I would highly recommend an outdoor fabric manufacturer like Sunbrella. They make a number of beautiful soft, comfortable interior upholstery fabrics that are tough-as-nails. Keep your whites varied, chalk white, decorator’s white, whipped cream, oyster, canvas, salt, bone white, snow drift. If all the whites in the room are exactly the same it will look forced and contrived. By mixing the whites together, it will look more natural, elegant, and easy. Allow yourself to have pops of color. After a few months in your all-white room, you may start to get bored or frustrated and find that you need a bit of variation. It’s very easy to add one pop of color at a time (pink, red, orange, yellow, green, blue, purple). This can be done with a bouquet of flowers, a throw pillow, or a pair of sassy lamps. 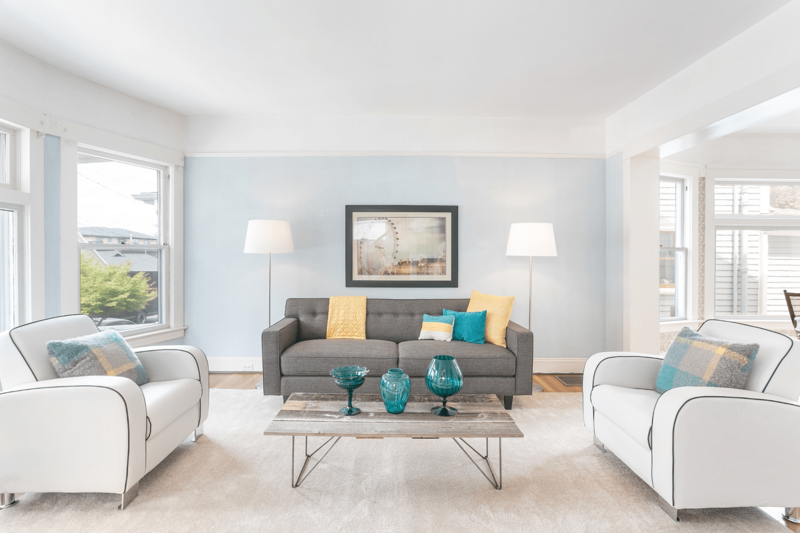 What you want to avoid is having more than one color in your white room at the same time. Remember, this rule does not apply to neutrals. 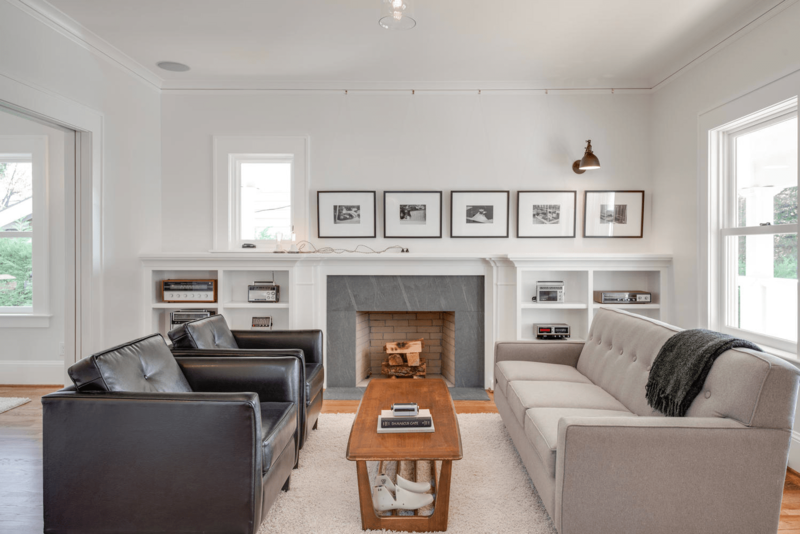 ABOUT THE AUTHOR: Justin M. Riordan, LEED AP is founder of Spade and Archer Design Agency, a home staging company with offices in Portland, Seattle and Palm Springs. As the creative energy behind Spade and Archer, Riordan fuses his formal training as an architect withhis natural design savvy to create beautiful and authentic spaces for clients.